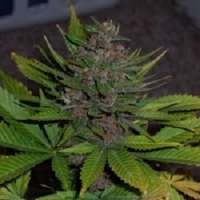 Zambeza Seeds NYC Diesel Auto Feminised is a hybrid of the classic New York City Diesel and Diesel Auto-flowering. The resulting strain maintains the iconic chemical, fuel-like diesel aroma and taste as the original, but not quite as intense! 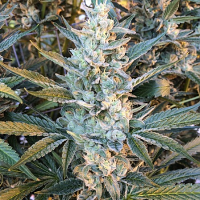 NYC Diesel Auto Feminised is ready for harvest within just 8 to 9 weeks and grows to a height of 80 to 110cm when cultivated indoors. 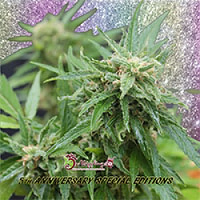 Grown outdoors, the strain yields an average of 300 – 350g/m2 compared to a minimum of 60g per plant when cultivated outdoors. NYC Diesel Auto contains 15% THC and low levels of CBD, creating an energetic high with an enjoyable Sativa kick.